For many people, missing teeth can mean missing out. Eating with missing teeth or loose dentures is ineffective and often uncomfortable. Menu choices can be affected. People avoid smiling on photographs and we've never met anyone who enjoyed putting their teeth in a glass at the end of a day! In all cases, an incomplete smile reduces your day-to-day confidence. Fortunately, we can help. At Crossbank Dental Care, we focus on giving you the smile you wish for. Dental implants provide natural, attractive looking teeth. Our team will help replace your teeth quickly and safely, sometimes in the same day. We provide implant treatments for patients day in, day out. It's what we do, repeatedly, consistently, successfully. It is our passion. Over 70 dentists now refer patients to Crossbank for their implant treatments because they know we care and acknowledge our skill and expertise. Tooth removal, implant placement and implant reconstruction all in one location and often in one appointment! One of the reasons we can do this is because we have all the necessary skills, experience and technology on site. 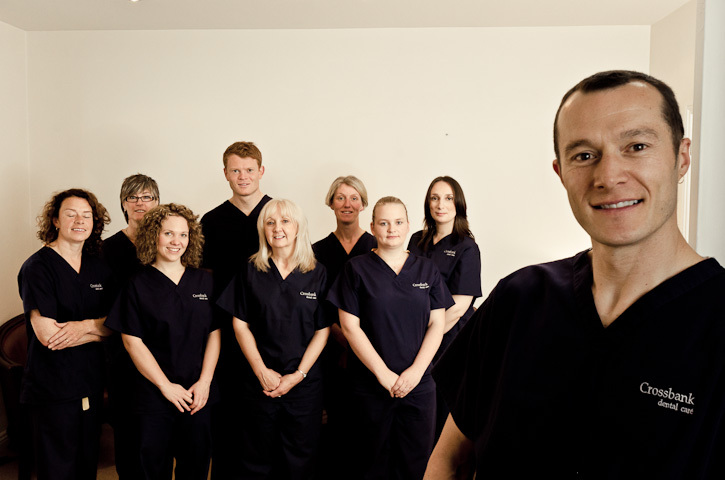 Our vast experience allows us to offer the most comprehensive range of treatment options. 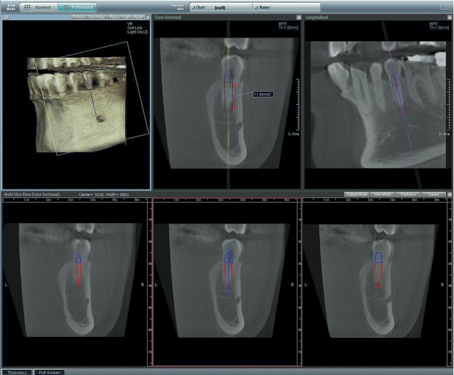 Our on site CT scanner (3-D x-ray) enables us the plan your treatment meticulously, before we even begin. Neil Cooper, our knowledgeable and highly trained implant dentist focuses only on implant dentistry, so you know you’re getting vast experience and the most predictible techniques. Add to that a friendly, caring staff, a warm, welcoming environment, and you begin to understand the Crossbank difference. Book your consultation today to start your journey, and have the smile you wish for. Allow us introduce you to the Crossbank Dental Care all-in-one dental implant centre. Telephone Crossbank on 01539 720820 to meet us. Undoubtedly, a visit to the dentist makes us nervous. It's always nice to know what to expect during your first visit. The first person you will meet is is your Treatment Coordinator, either Tracy or Sara. Your Treatment Coordinator will enquire about your dental concerns and offer an initial assessment. Together with Neil, your Treatment Coordinator will discuss the possible dental implant treatment solutions. The steps involved will be explained and you will have opportunity to ask questions and discuss finance options. Your Treatment Coordinator will then provide written information on treatment costs and financing options. It's worth bearing in mind that if you do choose to proceed, you may be able to start treatment very soon. After the consultation, your Treatment Coordinator can give you a tour of the practice and you may meet other members of our Team. If you have ever considered dental implants, or would just like to learn more about improving your dental health, book your Crossbank consultation today. Telephone 01539 720820 to make an appointment or complete this simple form. We look forward to meeting you.